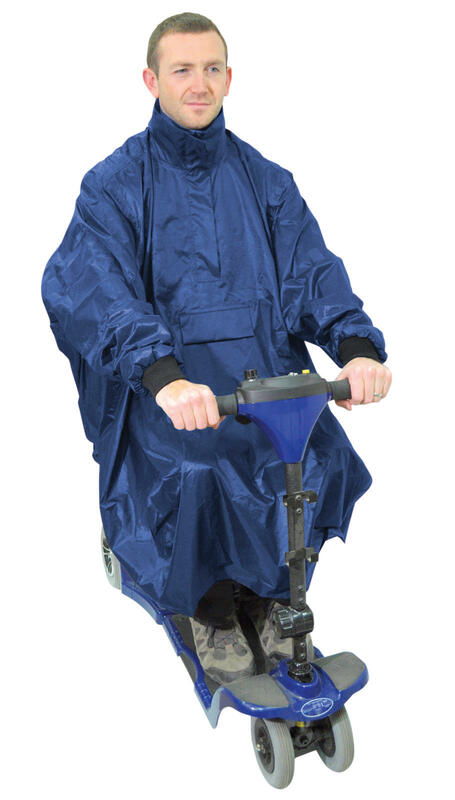 Giving extra length at the front this Deluxe Mobility Scooter Poncho/Cape gives added protection against the elements for your legs. 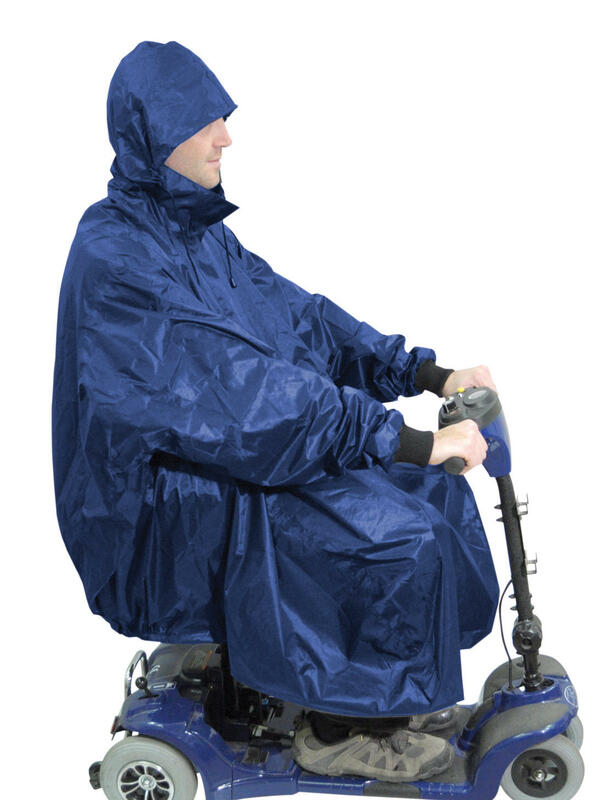 With the added bonus of a neckline zip that encloses the hood with drawstring, the deluxe mobility scooter poncho gives a neat and snug fit that can easily be used for protection for any unexpected changes in the weather. 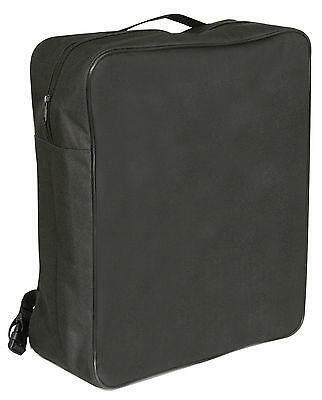 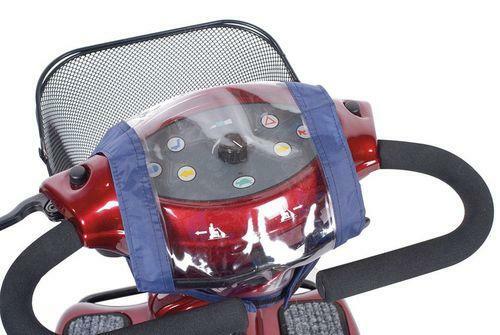 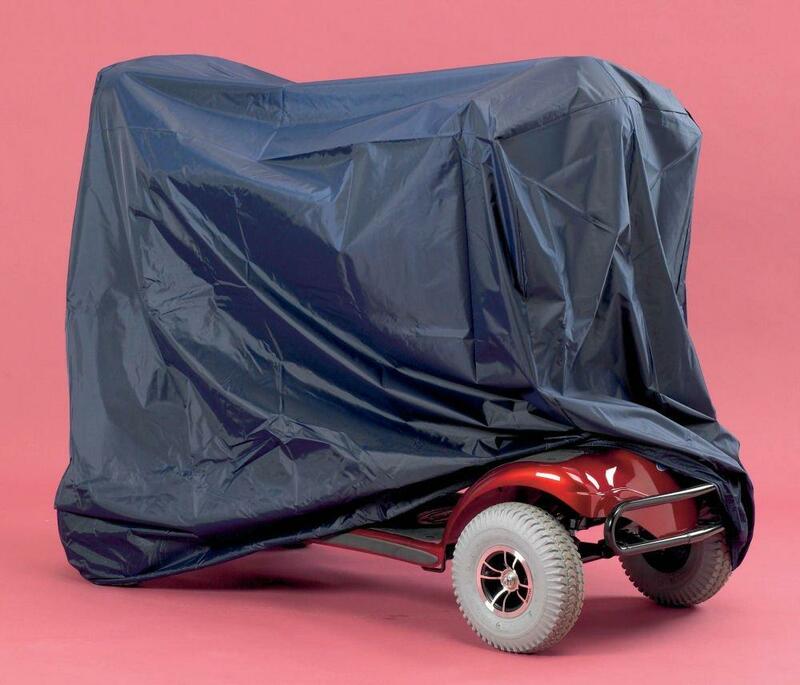 Made from a waterproof 100% Polyester fabric and fully sealed seams this mobility scooter accessory is machine washable at low temperature and can be folded and stored in a small bag. 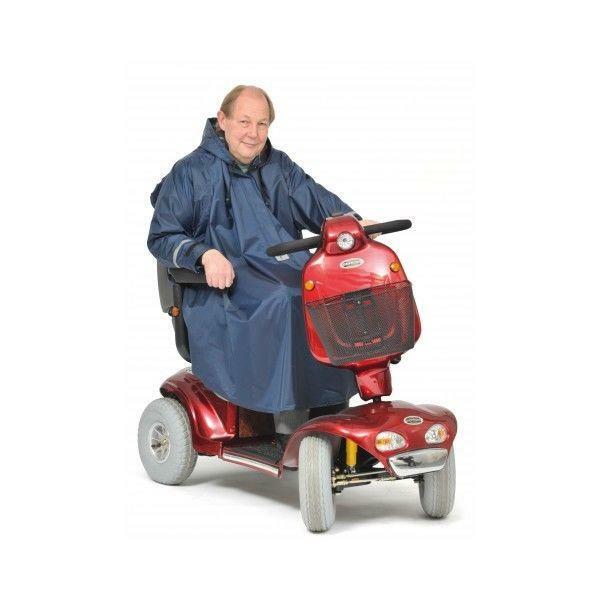 Available in a Universal size this is a recommended buy for all mobility scooter users.